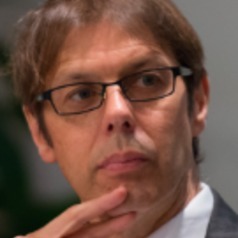 Stefaan G. Verhulst is Co-Founder and Chief Research and Development Officer of the Governance Laboratory @NYU (GovLab) where he is responsible for building a research foundation on how to transform governance using advances in science and technology. Verhulst’s latest scholarship centers on how technology can improve people’s lives and the creation of more effective and collaborative forms of governance. Specifically, he is interested in the perils and promise of collaborative technologies and how to harness the unprecedented volume of information to advance the public good. Latest reports and papers include, for instance, Innovations in Global Governance: Toward a Distributed Internet Governance Ecosystem (2014) and The Open Data Era in Health and Social Care (2014). Verhulst blogs also regularly on a variety of topics. For instance: Data Collaboratives: Exchanging Data to Improve People’s Lives (2015), and Reimagining Cities (2014). Verhulst is also founder and editor of numerous journals including the International Journal of Communications Law and Policy, and the Communications Law in Transition Newsletter. Currently he is the Curator and Editor of the Govlab Weekly Digest.